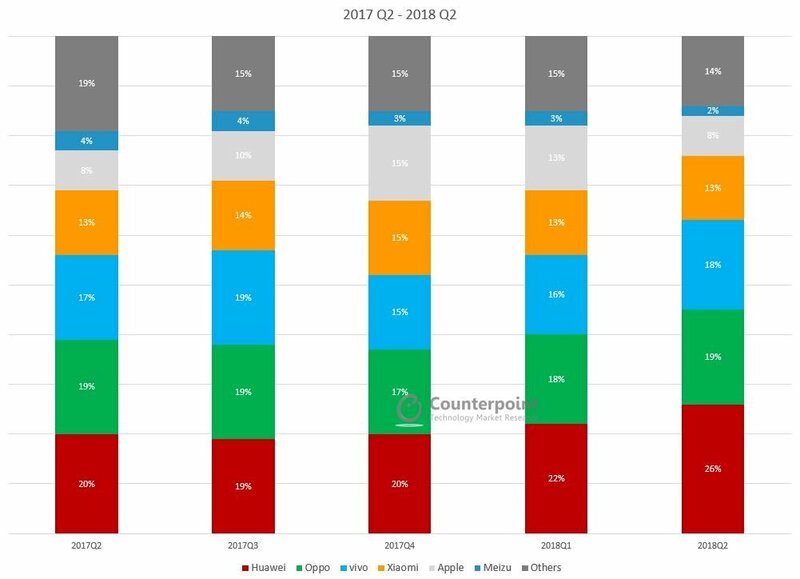 This data represents the Chinese smartphone market share by quarter (from 2016-2018) by top OEMs. 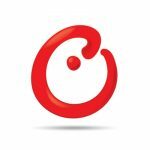 The China smartphone market declined by 12% YoY in 4Q 2018 and declined by 11% for the full year 2018. 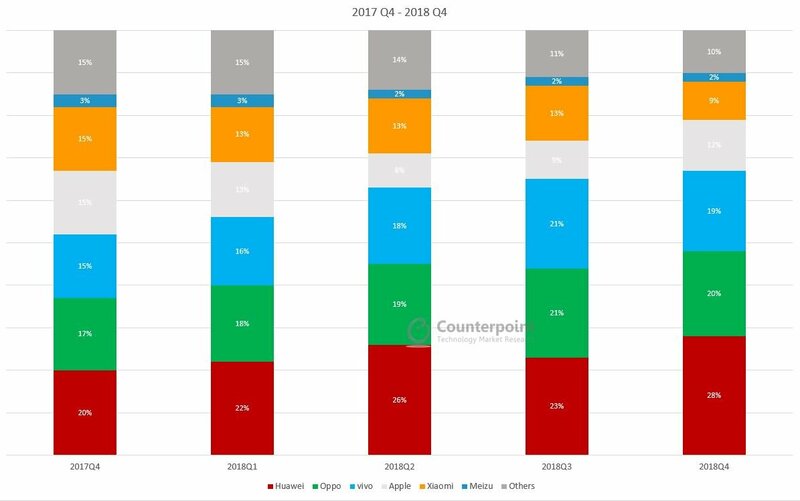 Xiaomi’s market share jumped to 14% and it was the fastest growing brand (+31% YoY) during Q4 2017. This helped Xiaomi to grow its annual market share to 12%, inching past Apple.